Alumni News and Updates Updates on marriges, births of children, deaths and other info pertaining to Alumni. The act of Crocheting can soothe students body and mend your mind. Anecdotal evidence has shown this for decades and new research confirms it with science. The benefits people report are seemingly endless. Learning to manage stress is important for teenagers, but it is especially important for my teenagers. Ms. S. will only receive her materials if this project is fully funded by July 5. DonorsChoose is a website where teachers can ask for donations to fund projects for their students. View the latest projects from Steinmetz College Prep HERE. 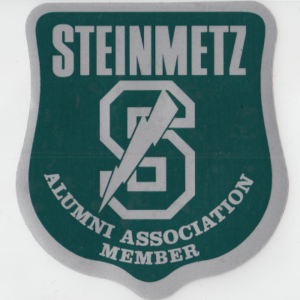 The Steinmetz High School Alumni Association, or any of its members, assumes no legal liability or responsibility, and makes no warranties, express or implied, for the accuracy or completeness contained in this website. In other words, "We all make mistakes"
Receive weekly updates to this website! Click here to SIGN UP for weekly reunion updates!